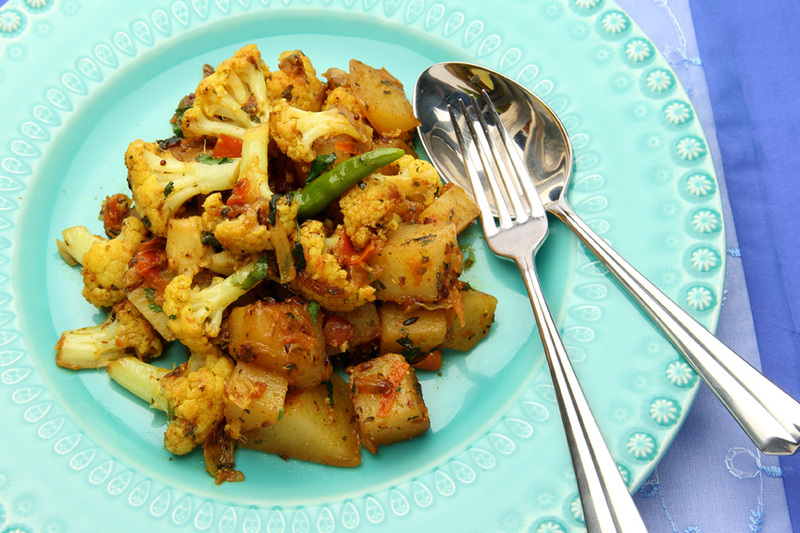 Aloo Gobi is a healthy and fragrant vegetarian dish that contains cauliflower and potato, and is a staple curry of Indian cuisine. 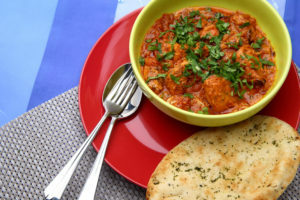 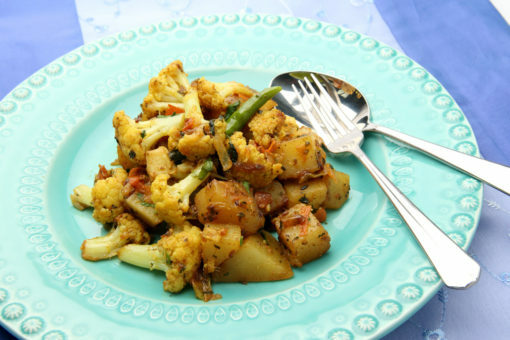 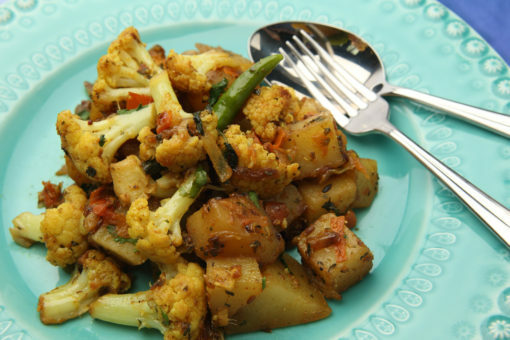 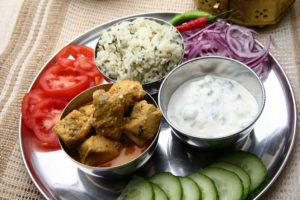 Aloo (potatoes) and Gobi (cauliflower) are combined with spices to make a quick side dish to any Indian bread or rice. 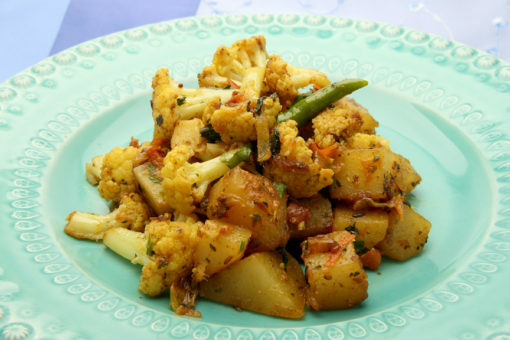 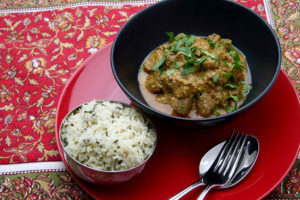 The cauliflower can be easily replaced with green peas. 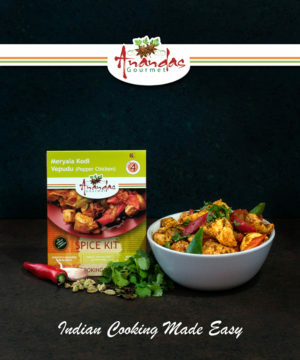 Ananda’s Gourmet vegetarian meal kits are delivered with everything you need to enjoy your meal including enough rice for 4 portions. 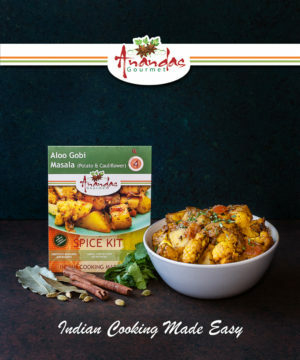 All of our meal kits contain fresh, local ingredients and this Aloo Gobi kit will give you the authentic Indian cuisine experience. 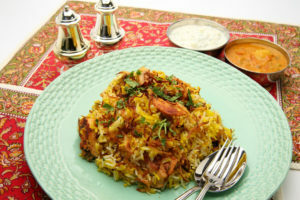 These kits come with everything you need to cook a meal for 4 people, including rice. 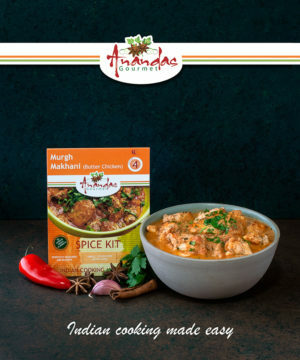 We use only the best and freshest ingredients in our gourmet meal kits, and we will deliver them to you the very next day to ensure the ingredients are kept fresh and ready to cook.